The Casa de Cuentos is a 1,320 sq. 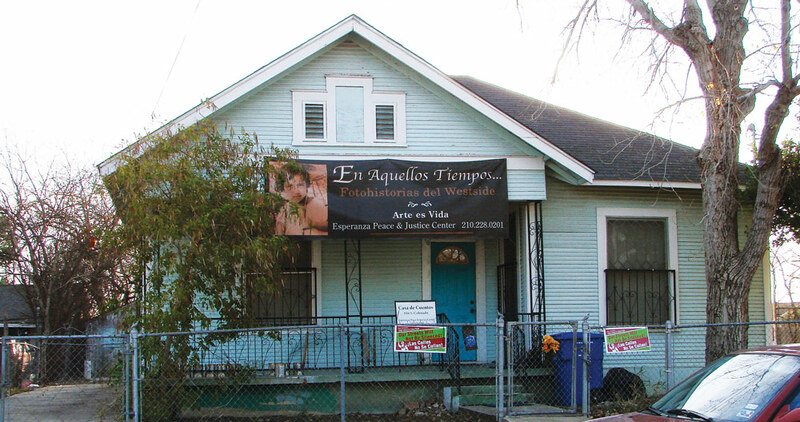 ft, 100-year-old house known as “La Casa de Misericordia” (the house of mercy) where, during the 1940s, 50s, and 60s, Westside resident Emilia Sánchez opened her home to those in need of food and shelter. It has housed bookmaking workshops, musical performances, teatro de la calle, oral history gatherings with Westside elders and youth, outdoor film screenings, poetry readings, dances, Día de los Muertos altar exhibits and festivals, our annual Paseo por El Westside, and more. The Casa de Cuentos has also been used to host visiting artists and cultural workers from Mexico, Peru, Chile & throughout the U.S.